There was a revolutionary war but do you know how or why it started? Could the Boston Massacre or the Sugar act have an affect on the beginning of the revolutionary war? Here you will learn about some people and events that led to the famous war. Paul Revere, the Sugar act, the Boston tea party, the Boston Massacre, and the daughters of liberty is somethings that led to the war and information will be provided in this smore for each topic. Paul Revere was born December of 1734 in Boston. Due to the fact that Paul's dad was a silversmith Paul also wanted to be a silversmith and that is exactly what he turned out to be. He was also a veteran of the French and Indian war. Paul is an important person in America´s History because he went on this famous ¨Ride¨. His duty was to travel to Lexington, Concord with his partner, William Dawes, to deliver a warning that the British were advancing the colonists. Revere and his partner, who was also sent on the ride, went separate directions so they had more than 1 chance to get to the people. Paul was captured by a British soldier before he could make it to his destination. For this ride they had a signal which was if the british was coming by land or sea; if by land they would hang 1 lantern and by sea 2 lanterns. 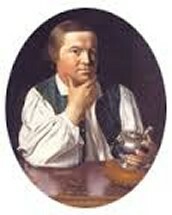 Paul Revere took part in a lot of key events such as the French and Indian War, the ¨ride¨, he was a son of liberty, took part in destroying the tea at the Boston tea party, served in the revolutionary war, and he also led an anti agitation (against/oppressed) against the stamp act in 1765. Revere was a very brave man. He rebelled against the acts which tell us he was not afraid to get punished by the British soldiers. Paul also had a lot of courage because he stood up for what he believed in. Because he was a brave man he got sent to deliver news which was the ride to Lexington, Concord. He now is known for his brave acts he did in his time. The sugar act was a law that passed. 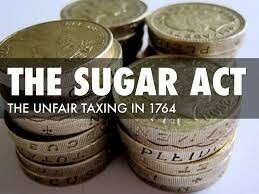 This law was that all colonist would now buy their sugar with a tax or extra cost. There were also plenty of other acts as well such as the tea act and the stamp act. The sugar act was passed on April 5th, 1764.This happened a year after the French and Indian war and a year before the stamp act. This was one of the first events leading up to the revolutionary war! The Parliament was the group that decided on this act. This act was designed to raise revenue from the colonies. The Act set a tax on sugar and molasses imported into the colonies which impacted the manufacture of rum in New England. Since this event was not fair for the colonists, they rebelled against the acts and created a scene at Griffin´s Wharf called the Boston tea party. Cause- The cause of this event was the tax that was placed on sugar. Effect- Later there was a lot of conflicts with the colonists and soldiers and then the Boston tea party occurred because of the acts in New England. 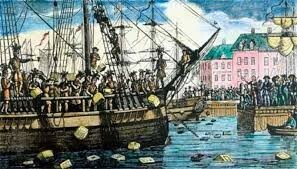 The Boston tea party was a special event that happened. The sons of liberty disguised themselves as Indians and surround three of the ship's full with tea. These ships were called the Beaver, Dartmouth, and Eleanor. They then started smashing and destroying carts of tea.They destroyed 342 boxes of tea. This event happened the evening of December 16th, 1773. 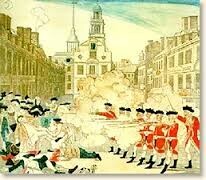 The Boston massacre happened 3 years before the party and the tea act started a few months before the party. After the Boston tea party came the intolerable acts a year later. The key people involved in this event were the sons of liberty, which was Samuel Adams, John Adams, Paul Revere, and many more. Also the ¨mother of the Boston tea party¨ was Sarah Bradlee Fulton. She helped all the men disguise themselves to look like native americans. The consequences of these events were that tea was wasted, money was not provided for britain (which was a good thing for the colonists), and that it helped the revolutionary come because of the anger between Britain and the colonists grew fiercely. England´s ships and then destroyed 342 carts of tea. Effect- Because of this the groups were getting very furious and led to the last act before the ride to Lexington and the beginning of the revolutionary war, which was the intolerable acts. The Boston Massacre happened when colonists and some British soldiers were having an argument. Other colonists then joined and started to throw stuff at the soldiers. 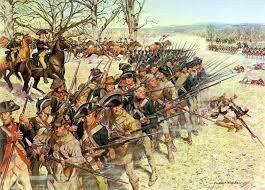 Then, the British soldiers then fired at the colonists killing 5 colonists. After, 13 people were arrested including 8 soldiers, 1 officer, and 4 civilians. The Boston Massacre happened on march 5, 1770 and took place on King street. Three years before, the townshend revenue act occurred. Three years later, the tea act and the Boston tea party took place. A key person in this event was Crispus attucks. He was a sailor of the african american ancestry who died in the boston massacre. He was born into slavery around 1723 and escaped by running away to sea. He then joined people who were protesting british troops. The other victims included Samuel Gray, James Caldwell, Samuel Maverick, and Patrick Carr. A consequence in the Boston massacre was that there were 5 colonists dead and that led to a lot more anger towards each other. Cause- Some colonists and British soldiers were having an argument and then a British soldier fired at the colonist. Effect- At the end of the massacre 5 people were shot dead and 13 people were arrested including 8 soldiers. This collaboration was a group of women that formed after the townshend acts. They weaved their own cloth so that the colonists didn't have to buy british goods. They even made a sheet for women to sign saying that they would not drink british tea because of the taxes. The goal for this group was to make the colonists less dependent on british goods. This group was considered a cooperation group because they worked together to rebel and protest the acts given to the colonists. They all believed that the british were unfair. This group is important to the war because they helped lead to the revolutionary war. British did not like that they were relying on themselves for their textiles rather than british so the british were getting less money than they had wanted to receive from the colonists. Cause- Women were getting tired of people paying taxes for their purchases so several women formed a group call the daughters of liberty. They made their own cloth and gave it to the colonists. Effects- The colonists were now less dependable on the British´s goods. They could learn how to make their own textiles just as good as the British´s textiles. 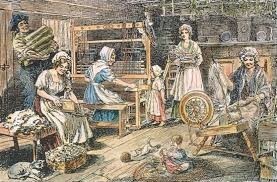 Because of the daughters of liberty, British did not have as much income as they used to have before the new group. These people and events had a big effect on the revolutionary war. Every event and person somehow made a bad effect on the relationship of the colonists and the british which eventually led to the revolutionary war. The sugar act was a law that forced people to pay tax for british textiles and led to the Boston massacre because of the argument and also this led to the daughters of liberty who made their own goods and gave their skills and textiles to the colonists so they would be less dependable on the british goods because they did not like the taxes rule. Paul Revere was a hero to the colonists because of his bravery. He was a son of liberty and the sons of liberty caused the Boston Tea Party, which was when rebels; the sons of liberty, destroyed 342 carts of tea. All of these events connect in one way or another. 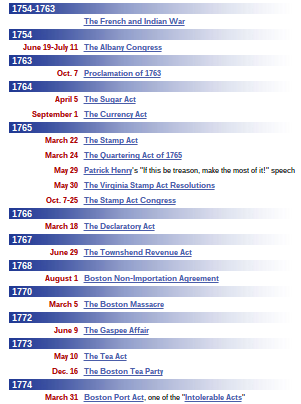 In conclusion, these are some of the events that led to the revolutionary war and shaped our world today. Most of the events are here except for the ride that Revere went on in 1775 on the 18th of April. Also the daughters of liberty started in 1765.